A political newcomer, centrist Jimmy Morales leads Guatemala's presidential vote, the country’s Supreme Electoral Tribunal revealed early results Monday. MEXICO (Sputnik) — With 32 percent of votes counted, Jimmy Morales is leading with 26 percent of the vote. Manuel Baldizon, a right-wing businessman and former lawmaker, is in second place with 20 percent. In case no candidate wins 50 percent of the vote, there will be a second round of voting on October 25. Some 7.5 million people were eligible to vote in the polls which closed Saturday. 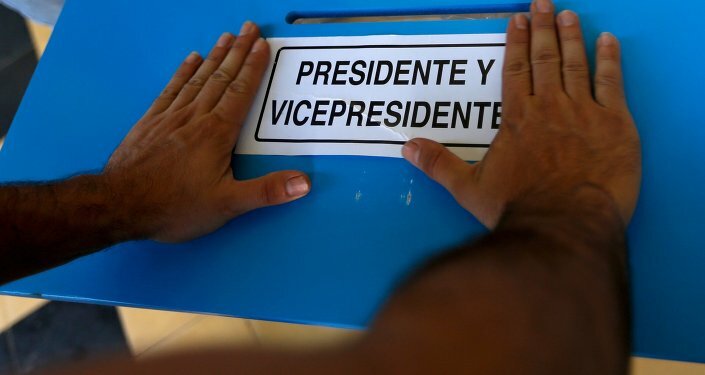 A new president and congress are being elected amid a deep political crisis in Guatemala. Former President Otto Perez Molina resigned last week and was swiftly arrested over a customs fraud scheme.